If you're teaching your kids phonics, or to read or print, a printable set of letters comes in very handy. Whether you want to make a game, use the letters as a reference, or use them in some other way, this printable sheet of letters is sure to help. This sheet features A to Z, both capital and lower case letters, in seven rows. 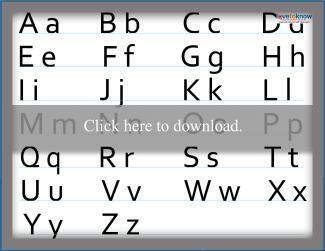 To print the alphabet, click on the image and then click download or print. If you have any issues, see the online guide for working with printables. There are a variety of ways you can use this printable. Whether for reference or practice, make sure to make the printable accessible so your child can see it regularly. Use this as a reference tool for a child who is just learning how to print. Print out the alphabet on cardstock. Laminate for durability and place in a prominent place so your child can see it. Have your child refer to the letters anytime she struggles to remember how to print something. Instead of laminating it as one single page, cut in between the lines and tape together. Post the alphabet as a strip across the wall. This helps the student memorize what order the letters go in, thus improving alphabetizing skills. The letters in this are spaced out well enough that you can cut them into single tiles. Print out a couple copies, cut the letters into tiles, and use them to play simplified versions of Bananagrams and similar type games. Add magnets to the back of the letter tiles, pull out an old cookie sheet, and help your child spell simple words. For some kids, this kinesthetic type activity is crucial to learning to spell well. 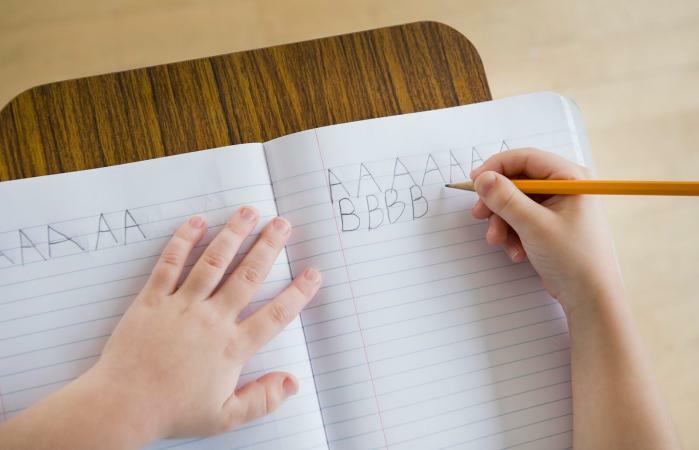 As you study each letter, cover the letter with an item that begins with said letter. For example, you can point to the letter 'a' to your child, have her sound out the letter, and then place a small picture of an apple over the letter. Tape just once side of the picture down, and do the activity in reverse. No matter how you use this printable alphabet, the key to improving phonics, reading and printing skills is to simply practice, practice and practice some more. So that your chid gets the maximum out of practicing, do no more than a few minutes at a time, per day. Even if you think your child will never get it, rest assured he will after consistent practice.